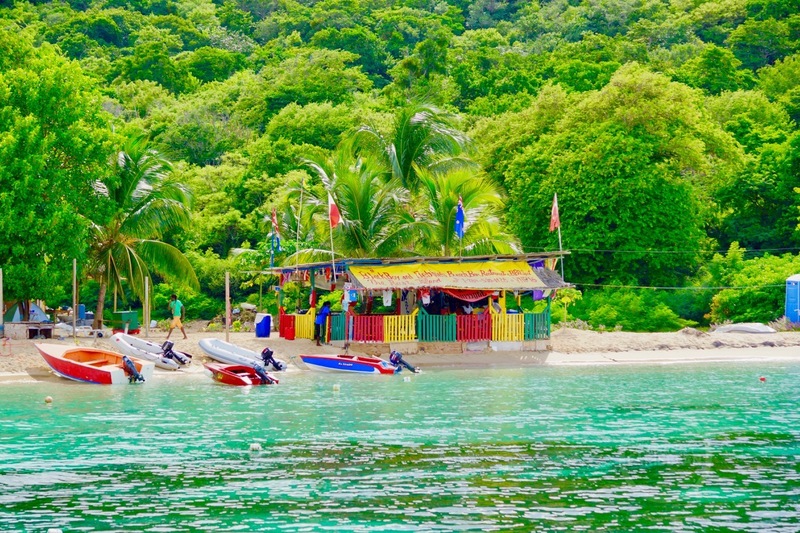 Your journey will lead you to famous Caribbean spots. Sometimes you visit places in the world you prefer to keep to yourself. Purely due to the fact a place like this, so special, is too good to put into words and that’s why one prefer to let it continue in ones thoughts. Yet I will write about it. Why? Because I am convinced that only a predestined explorer will discover Mayreau Magic. 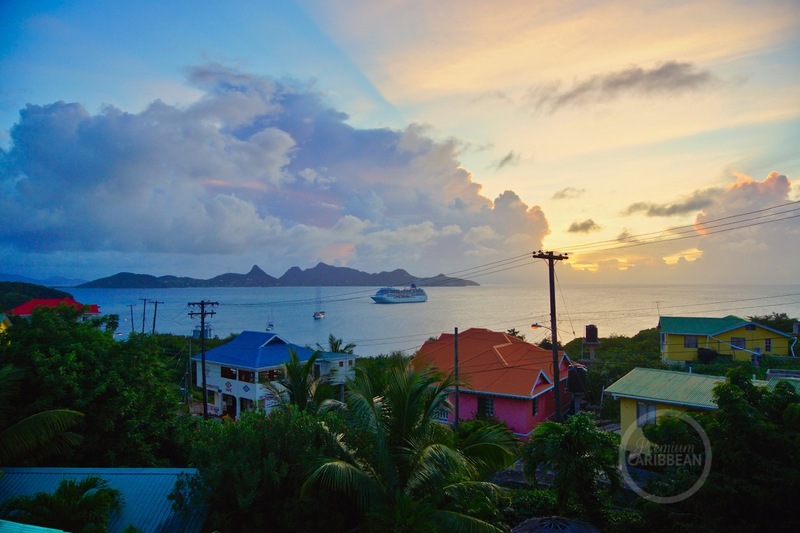 During our honeymoon we visited The Grenadines, an archipelago in the southern Caribbean. We moored with the catamaran in Mayreau, the absolute wonderful paradise close to the beautiful Tobago Cays. 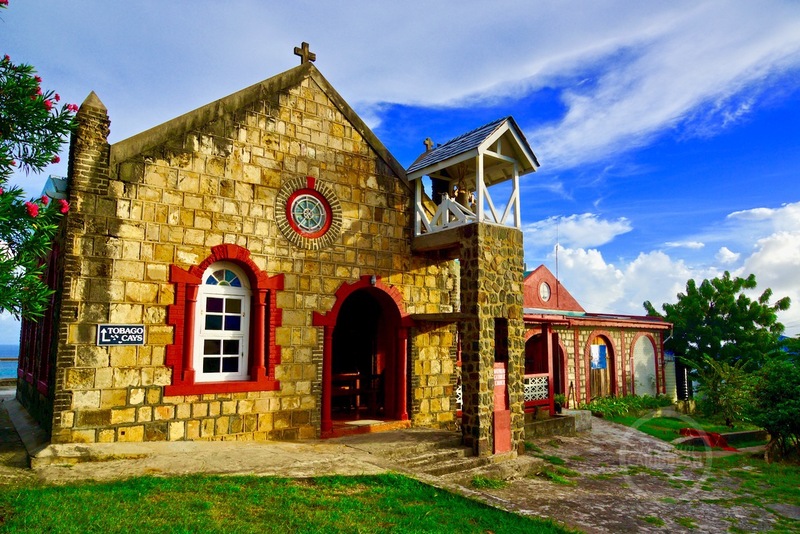 Mayreau has less than 200 inhabitants, as a result it is a very quiet island. 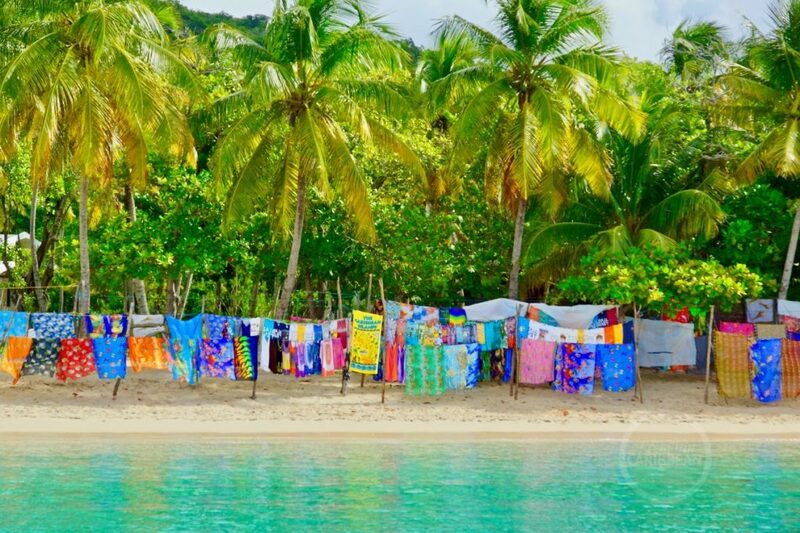 When laying in Saltwhistle Bay, the two beach bars and the colorful cloths that are sold on the beach are the first things you’ll notice. Mayreau resembles a typical picture of a idyllic Caribbean island; palm trees, turquoise waters and white sandy beaches. Our voyage of discovery leads through the only road on the small island, over the green hills that are steeper than we thought. Halfway we arrived at a church. 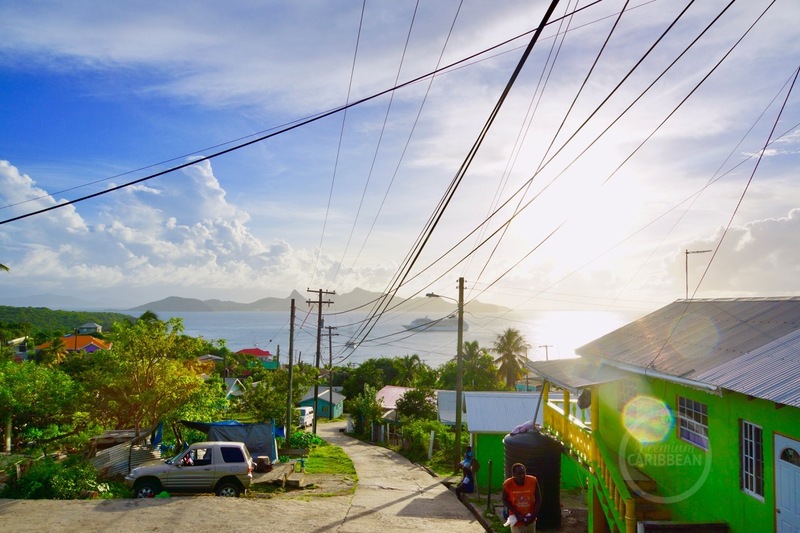 From there you have a breathtaking view of the Tobago Cays, Canouan, Union Island and Carriacou. On a clear day you can even see Grenada and St. Vincent! Great place to relax and enjoy all the beauty. Suddenly, a bit further we passed a hidden bar. Through the tropical bush I could see the bartender lounging in his own bar. Somehow it attracted our attention. Later on it turned out our visit could not have been a better choice. Barman and owner at the same time, Dennis is his name, presented us his cocktail menu. We ordered a very special cocktail from the menu. Dennis went through the ingredients of the cocktail menu and prepared the cocktails. He is not one of the youngest anymore, according to his excuse. While Dennis was doing his thing, we enjoyed the view and our presence on the island. The cocktail tasted exquisite as a good Caribbean cocktail should do, including an (abundant) amount of rum. Dennis talked incessantly, about his travels, sailing and women. It was very entertaining though. He was proud he was the owner of the bar, but he mentioned he also owned a guesthouse and gave us a brief tour. That pride explains the name of his establishment; Dennis Hideaway. Meanwhile it was time to say goodbye. I told Dennis we would come back next week, because Mayreau included in our second sailing trip as well. He wished us a nice evening, while his face was full of disbelieve. Tourists come, tourists go. They always say they’ll return, but they never do he must have thought. As a result the way back went a lot easier. It seems like we were flying. I had lots of energy. What was in that cocktail? The sun was already down, the stars and the Milky Way were visible, very crisp. Suddenly fireflies appeared around us. On the hill I saw the contours of the bushes and palm trees with bright light traces of fireflies everywhere. Above me the crisp night sky and meanwhile the blowing warm Caribbean trade wind went through my hair. Hey, a shooting star! Before we knew we were already back on the beach at Salt Whistle Bay to return with the dinghy to the catamaran. Still surrounded by fireflies. Our feet in the powdery sand along the surf in the lukewarm seawater. A week later we were back in Mayreau and of course as promised we visited Dennis who greeted us enthusiastically. At ease he made another delicious cocktail. It felt like a déjà vu. Was this a dream? No, it was probably Mayreau Magic! © 2018 Premium Caribbean | All text, images and photos on this website are copyrighted and are the intellectual property of Premium Caribbean.